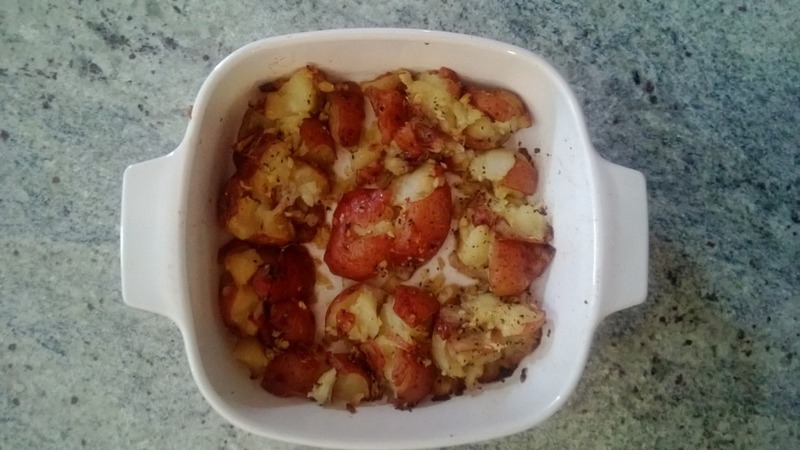 Smashed Hot Potatoes | Can't Believe It's Allergy Free! A very easy-to-make side to serve with meat/poultry, or even with a platter of roasted or steamed veggies. Kids love this healthy and full of goodness potato dish. No cream or butter—ideal for the dairy allergic– and absolutely no fuss. Serve your veggies on a bed of steamed quinoa to create a complete meal with Hot Potatoes on the side. That red potatoes have the lowest glycemic index of all potatoes?